This came to me via a Glossybox last year, so I tucked it away for a sunny day. It’s been a little life saver this month. I’ve ditched the foundation in place of this tinted moisturiser with Spf 20. It’s extremely light with just a hint of colour. The shade ‘Rose Essence’ isn’t in fact very rosy, it’s more of a pinky bronze that gives the skin a beautiful bronze glow. I love it so much I really want the full size... sadly it doesn’t come cheap. Although this 7ml sample is lasting really well so the 50ml would last all year. Summer breakouts, what’s that all about? They usually happed to me on holiday – the heat, the humidity, the sunscreen?? Whatever the reason I’ve had quite the breakout over the last couple of weeks. A flurry of spots caught me unaware whilst I was at my Mum’s. “I’ve got some really good spot cream” she says, then hands me this T Zone spot relief gel. I’ve got to admit, I was a bit of a snob and thought, I’ve noticed this stuff in the cheap shops, it’ll never work? Famous last words! This stuff is the bomb. I had the rumblings of a MASSIVE spot on my forehead. I applied a thin layer in the evening. Next day the spot was gone. Apply the medicated gel direct to spots. It dries quickly and works fast. I wake up around 6.30am, my eyes however, tend not to surface until around 9! Cue the most amazing soothing herbal lotion. I soak a couple cotton wool pads with Eye Bright, dab around the eye area, or if I have time lay down for five minutes and rest the pads like cucumber slices (careful not to fall back to sleep) over the eyes to calm, hydrating and revive tired peepers. Gentle, but incredibly effective – try keeping it in the fridge for an amazing cooling experience. It really helps reduce bags and puffiness. 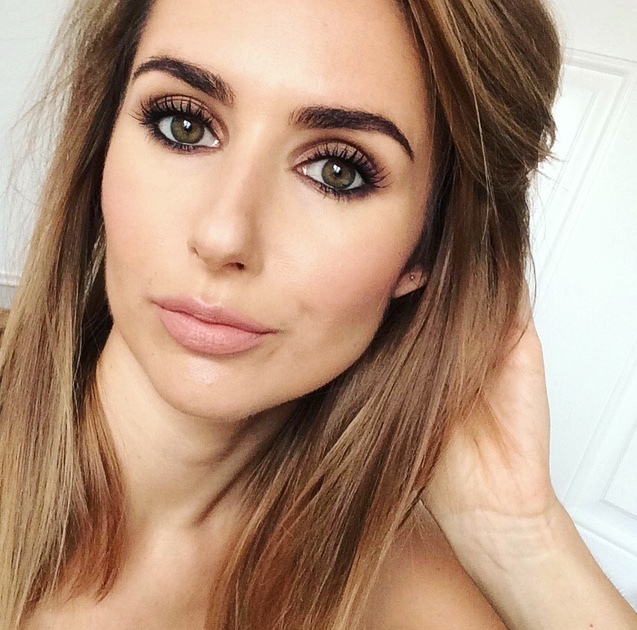 As part of the summer overhaul I’ve been craving a lighter, easy breezy brow. I bought this on a whim in Boots – buy one get one half price on L’Oreal. The pencil applies so easily to add natural looking strokes in a Taupe shade. The fixing wax on the other end keeps brows in place all day, plus the handy comb makes it a real handbag essential. This arrived in July’s Birchbox and we’ve been joint at the LIP ever since. Bees Knees is the perfect summery coral shade. It had an unusual creamy matte texture, which I prefer to the sticky glossy type. It’s just so pretty and works for me... I am definitely buying the full size product before this one runs out. Sandals, sliders, flip flops NOT as comfy as they look? I’ll spare you the details but hard skin is definitely a side effect of summer footware. My usual Soap & Glory Footglove wasn’t cutting the mustard. Luckily I had a mini L’Occitane Foot Cream in the stock room (a storage box under the bed). This stuff absorbs fast! My parched feet soak it right up, and with 15% Shea Butter it leaves my feet feeling softer than they have for years. Pop a pair of socks over the top to let them cook and watch the hard skin dwindle... no wonder it’s a multi award winner. Eyebright is one of my favourite products for mornings. It's perfect on particularly bad hayfever days too.